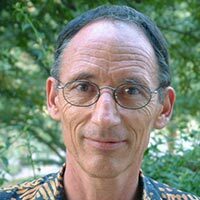 Peter Neuenschwander is emeritus scientist of IITA and assists with biological control and nature conservation projects in the IITA-Benin station. For almost 10 years before his retirement in 2003 he was Director of the Plant Health Management Division of IITA in Cotonou. He is an entomologist who specializes in biological control and integrated pest management (IPM). He lead and still assists in projects on classical biological control against cassava mealybug, mango mealybug, water hyacinth, and others in 25 African countries. These projects led to permanent solutions of these pest problems. Through these projects he supervised numerous PhD students of African and European universities in collaboration with NARES, international institutions (FAO, CABI, Inter-African Phytosanitary Council), and donor agencies. He is a founding member of BioNET INTERNATIONAL, has a Recognition Award from the African Association of Insect Scientists, and is honorary member of the International Organization for Biological Control; he is well integrated and recognized by his peers. Neuenschwander obtained his PhD in zoology from the University of Bern, Switzerland in 1972. He then proceeded to do a post-doc at the University of California, Berkeley, US. For six years he worked as an FAO employee in an IPM project in Chania, Crete, Greece. In 1982 he led a small biological control project by FAO at the Centre pour le Développement de l’Horticulture in Cambérène, Dakar, Senegal. In 1983 he joined IITA in Ibadan, Nigeria, and moved to Benin in 1988, when the Biological Control Center for Africa was opened. He now lives in Drabo Gbo, a small village 30 km northeast of Cotonou, where he rehabilitates 14 hectares of forest, some of it old rain forest patches, and looks after a troupe of wild-living red-bellied monkeys, an endemic species and flagship for nature conservation in Benin. He is active in the International Union for Conservation of Nature (Benin) and, in 2011, edited the book ‘Nature Conservation in West Africa: Red List for Benin. Since his retirement he lives part of the year in Belp, Switzerland with his family.